HMH Books for Young Readers, 9780618494897, 80pp. They study the night sky, watch chimpanzees in the wild, and dig up ancient clay treasures. They search the beach for rare fossils, photograph old rock carvings, explore the hazards of lead poisoning, and wander into dark caves. And in their watching, digging, and wandering they become discoverers. Young and old, they are women and girls who discover seventy-million-year-old sea lizards, the very origins of counting and writing, Stone Age cave art, mysterious matter in the universe, and how a puddle of water can be sanitized when heated by the sun. 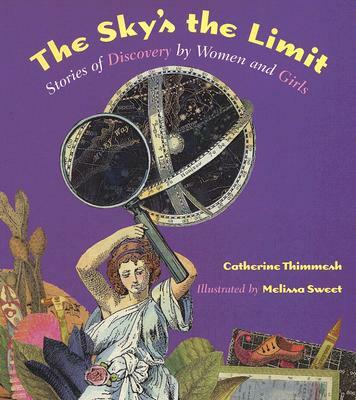 Here is a tribute to the findings and revelations of these remarkable women and girls: to their perseverance, their epiphanies, their wondrous curiosity. Brought to life by stunning collage illustrations, these inspiring stories drawn from primary sources consistently probe into still unanswered questions. Here are discoveries that open our eyes not only to what women and girls can accomplish but also to the astonishing world in which we live.